It’s time to hit the beach! I bet that many of you have been waiting for this time for the first half of the year. Some of the best times of my life have been spent at the beach, and I have to say that in addition to the surf and the sand, I love bringing cool gadgets to play with. If you are the same, you’d love to get your hands on these gadgets. There are waterproof cases for most any kind of gadget these days. But if you want to take videos and stills without worrying about ruining your camera, I suggest that you get a Flip. It has been around for quite some time and it is quite cheap. Then get a waterproof case for it and you’re all set! What’s a beach party without music? Of course, you wouldn’t want your iPod to get ruined because of the water. 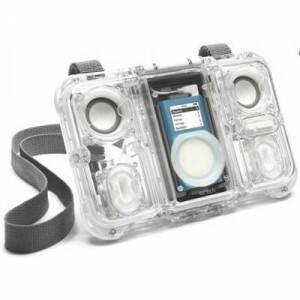 With this waterproof iPod dock, you can play music even if you’re in the middle of the pool. You can use this dock with any kind of iPod, and it uses simple AA batteries! Okay, this one may not be as easy to get as the first two. It is the toughest laptop out there, no doubt about it, but it will also set you back almost $2000, even more. Still, if you have the cash to spare, this is the laptop to bring to the beach – or practically anywhere! Any other gadgets you’d like to bring with you?